Great oversized building lot with easy access to Sconset Village, the bike path and golf clubs. Brush cut, staked, tagged and has Town utilities. 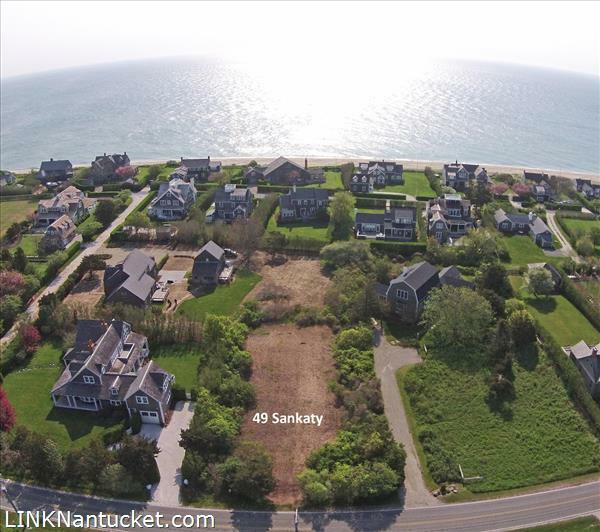 The SR10 zoning allows for a footprint of over 4,000 square feet - plenty of room for a Main House, Guest House/Garage and Pool - lots of possibilities here for a Nantucket dream home! Please send me more available listings similar to 49 Sankaty Road, Sconset. Thank you!